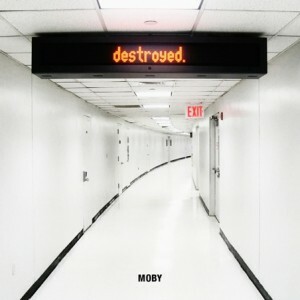 Moby’s tenth album, Destroyed, is a mostly instrumental, abstract outing where R & B and synth noodlings come together to create sprawling techno soundscapes that sound like ambient music on steroids. Moby channels David Bowie during his Heroes period with “The Day.” His voice is slack, emotionless, and the synths gurgle, capturing the dread of night. Another highlight is “Stella Mars.” The synths take on a classical bent and there’s a high mass vocal that recalls the eerie Druid droning of the Dead Can Dance. Moby’s dramatic use of synthesizers can make his compositions sound a bit like those of Japanese electronica pioneer Isao Tomita, or at their most self-indulgent moments, like the soundtrack to a Godzilla movie, but he has a knack for sampling and creating spacey atmospheres that will soothe anyone’s jangled nerves.